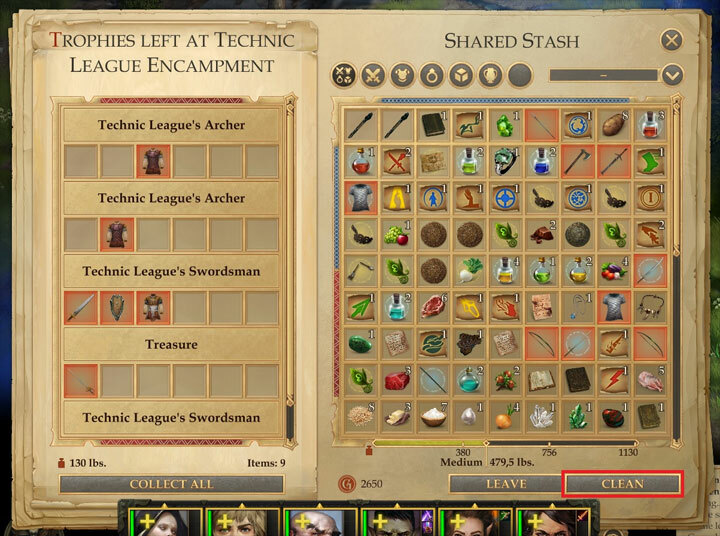 The file Cleaner v.1.01 is a modification for Pathfinder: Kingmaker, a(n) rpg game. Download for free. Cleaner is a mod for Pathfinder: Kingmaker, created by newman55. The largest amount of memory uses the statistic.json file. The mod watches him and does not allow to grow above a limit. The mod adds a new "Clean" button to the loot window when you leaving any zone. It removes all loot and NPS corpses from current scene, that will further help to reduce size of your saves. Download and install Unity Mod Manager? Extract the archive and put the mod folder into 'Mods' folder (e.g. "\Steam\steamapps\common\Pathfinder Kingmaker\Mods" or your GOG path). Run the game. Do not press anything until the game menu is loaded.